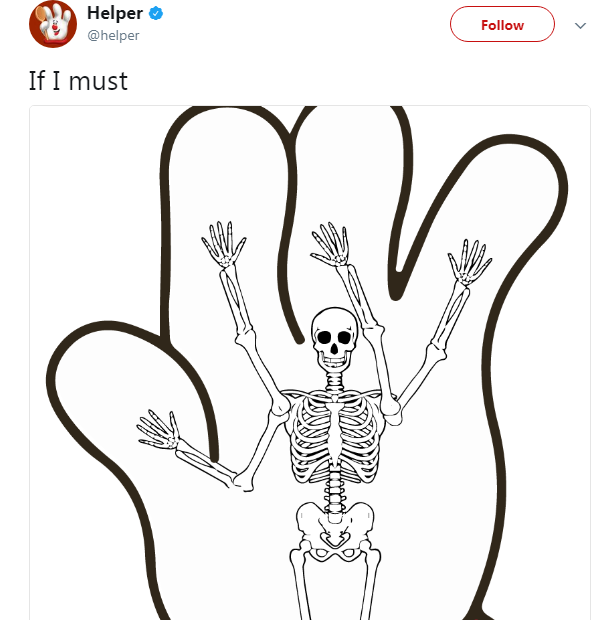 Everyone knows the Hamburger Helper Hand, floating about encouraging us to eat more Bacon Cheeseburger Macaroni. 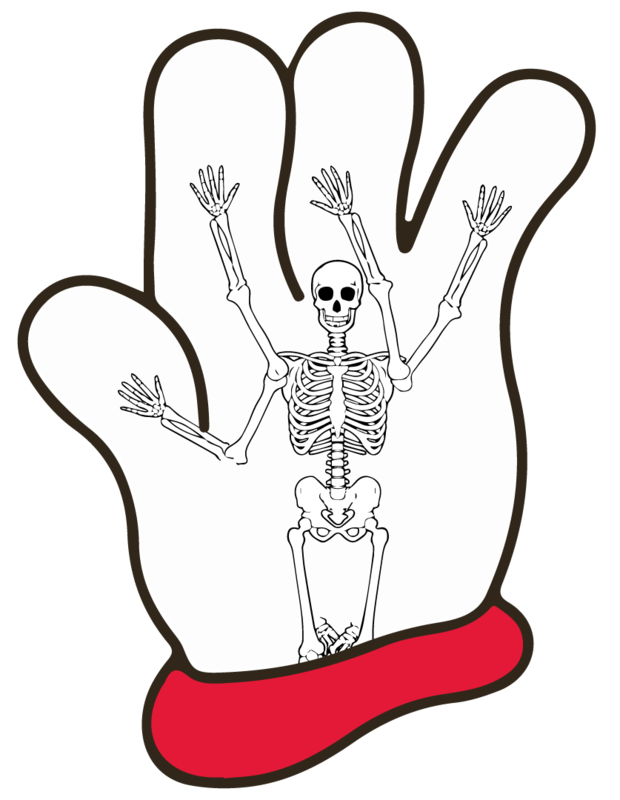 Well, an inquiring Twitter user wanted to know just what does the skeleton of the Hamburger Helper Hand look like. 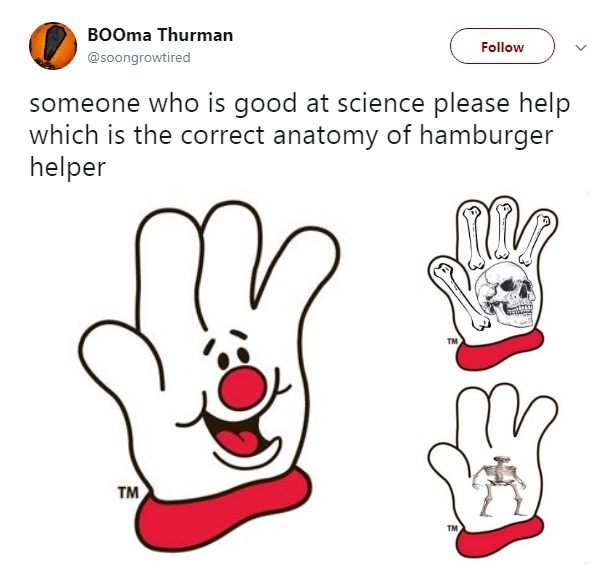 In a surprising twist, Hamburger Helper responded! AND, revealed a very freaky image you cannot un-see. I’m still hungry for Bacon Cheeseburger Macaroni, tho. Not THAT shook.